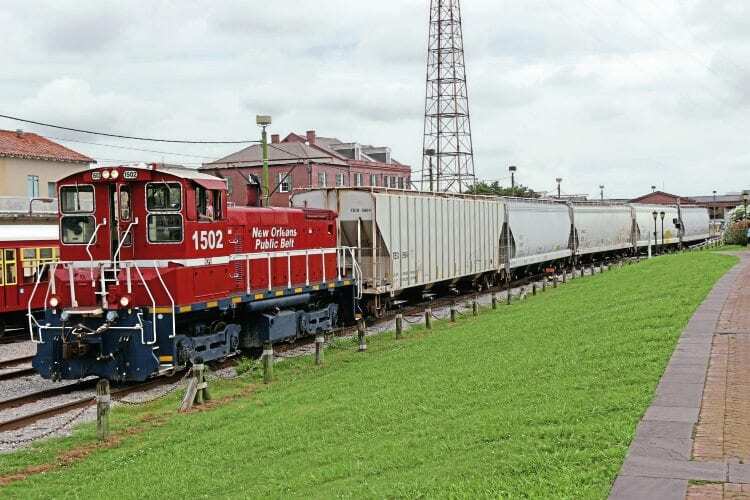 THE City of New Orleans owns a short but strategically important railway system – the New Orleans Public Belt (NOPB) which has operated since 1908, giving all rail operators access to the port of New Orleans. The Public Belt Railroad Commission also manages the Huey P Long Bridge, which opened in 1935 and is used by multiple freight railroads and Amtrak to cross the river Mississippi. While the NOPB operates on a commercial basis without subsidies from its owners, privatisation of the railway by means of a long-term concession was proposed in 2016. After a tender exercise which resulted in several bids, the city has decided to instead sell the railroad to the publicly-owned port authority. In return the port authority will make more of the riverfront available for public use – the NOPB line also runs alongside the Mississippi near the famous French Quarter and the ‘Riverfront Trolley’ tram line shares the alignment.